A Japanese super sonic group, designs music and musics design, Delaware released their new work collection on YouTube. 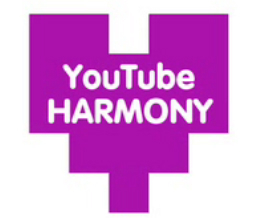 The new work collection “YouTube HARMONY” is an enjoyable project, taking advantage of YouTube’s characteristics and showing a fun and new way of playing music. Delaware remixed some favorite videos (visual, sound and scene) from a flood of world videos on YouTube, and turned them into a new video under each title. Each video has a slogan such as “Nice to mix you”, “P’ART’Y is not over”, “This is S’OUR’CE music”, “New Tribe”, “Broadcast ourselves”, “Somebody loves you”. Videos in the new video are various. From music players, dancers, students’ presentation, kid’s speech practice, to the landscape and even a locker room. It has a feeling of impromptu live session in real time, which is new and interesting.